Trust is providing free food daily to the people and travels and on the occastion of every samagams. 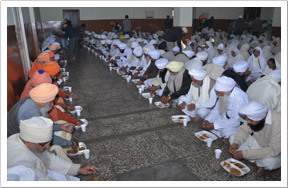 For daily free food 100 to 400 people visit daily. 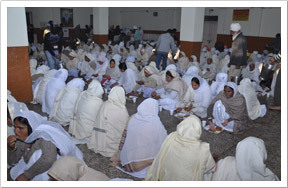 On special days like Amavasya, Punranmasi number increases 150 to 2000. 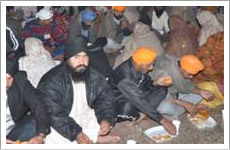 On Annual big events like Basant Utsav and Baba Jxaswant Singh Ji number of people for food nearly 50,000 to 1,00,00.